You no longer need to trek to Berkeley to get picture perfect fish-shaped ice cream cone. Uji Time Desserts has quietly opened in Japantown this month and Yelp is already full of snaps of soft serve ice cream on top of fish-shaped ice cream taiyaki pastries. Uji Time made waves in Berkeley last year when they started sharing a space with the equally Instagrammable Vampire Penguin. The perpetually long-lined Berkeley location sells more than a dozen soft serve flavors for adorning your photo friendly fish-shaped ice cream cone. The SF shop is softly opening with only a handful of flavors including the matcha, tofu, and black sesame. 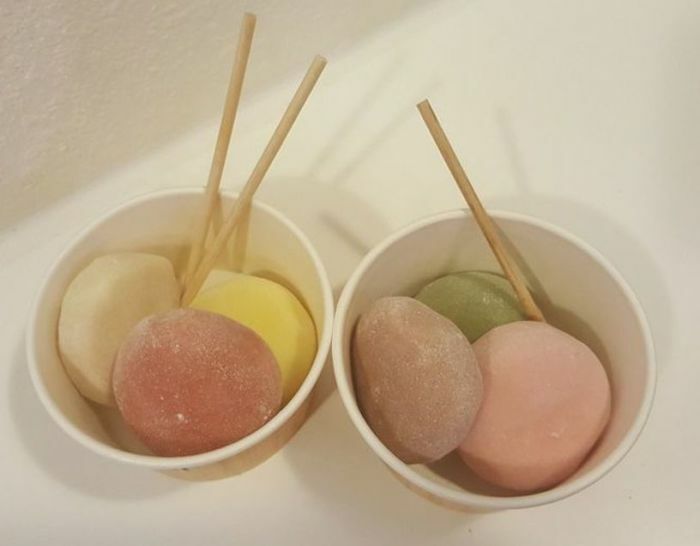 In addition to soft serve, the shop is serving up a selection of adorable mochis including matcha chocolate chip, salted caramel, and ginger zing. Uji Time Desserts has moved into the location previously occupied by Mitsu Teahouse at 22 Peache Plaza, Ste. 440. 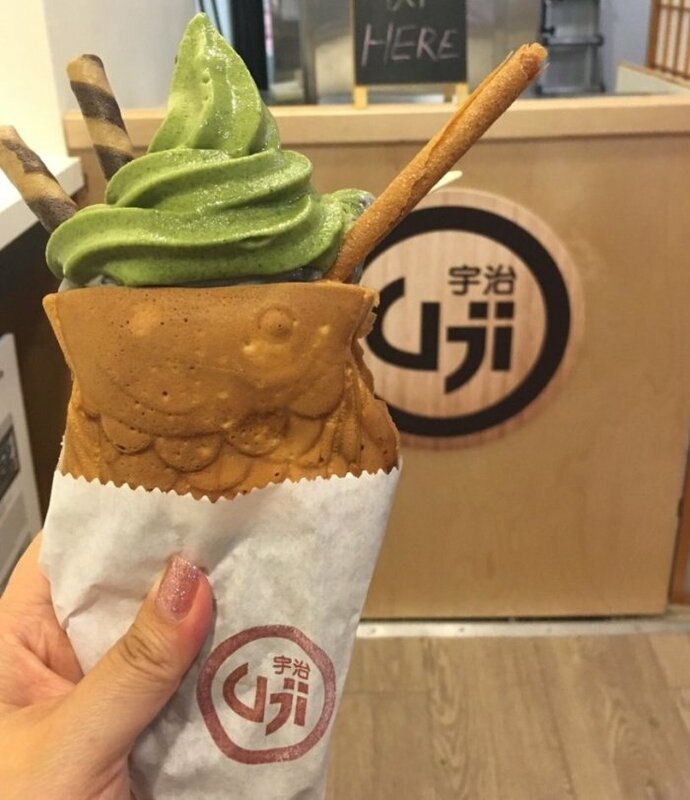 Soft serve stuffed in taiyaki has been a growing trend across the United States. New York City has several shops serving up the Japanese pastry. This post about Uki Time’s fish-shaped ice cream cones originally appeared on UpOut.com.